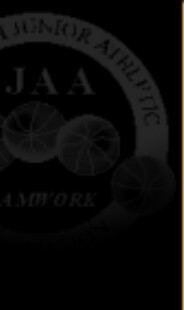 Welcome to the Snohomish Junior Athletic Association! The Schedule for 2018-2019 Weeks 1 and 2 is now available. The Schedule for 2018-2019 Week 3 is now available. The Schedule for 2018-2019 Week 4 is now available. The Schedule for 2018-2019 Week 5 is now available. The Schedule for 2018-2019 Week 6 is now available. The Schedule for 2018-2019 Week 7 is now available. The Schedule for 2018-2019 Week 8 is now available. The Schedule for 2018-2019 Week 10-12 is now available. The Schedule for 2018-2019 Playoffs is now available. The 2018-2019 Playoff Bracket is now available. COPYRIGHT © 2002-08 SNOHOMISH JUNIOR ATHLETIC ASSOCIATION. ALL RIGHTS RESERVED. SITE ARCHITECTURE & DESIGN BY SQUAD STUDIOS HQ.